The latest addition to our Science & Regulatory Affairs team, self-confessed marine science nut Tibiabin Benitez-Santana brings an infectious can-do attitude, along with a wealth of hands-on lab experience, to her aquaculture researcher role. Walking us through her day to day, Tibiabin explains how having the opportunity to dive ever deeper into the science of krill inspired her to make the switch from the academic world to that of Aker BioMarine. First things first, what inspired you to study aquaculture? I am from Gran Canaria, and grew up swimming and scuba diving, so it seemed very natural to have a career connected to the sea. I was fascinated by marine biology and chose to study marine science. Continuing my studies and moving in a slightly different direction, I started my Masters in aquaculture. I quickly discovered how interesting it was to care for marine fish larvae, by understanding the lipid metabolism. I was hooked, and still am. In 2004 I started my career as an aquaculture researcher in the Aquaculture Research Group and by 2011 had concluded my PhD thesis on the effects of polyunsaturated fatty acids (PUFAs) on sea bream and red porgy. From there I moved to Paris in 2013 to become a postdoctoral research assistant in the Neurobiology and Development Research Unit at the French National Centre for Scientific Research (CNRS) and French National Institute for Agricultural Research (INRA). The main objective of this project was to study the effect of food availability and lipids/long-chain polyunsaturated fatty acids on neural stem cells in zebrafish. Moving on in 2015, I joined the Schlegel Laboratory at the University of Utah, working as a postdoctoral research assistant. In this project I worked on the role of liver X receptors in intestinal lipid handling in zebrafish. 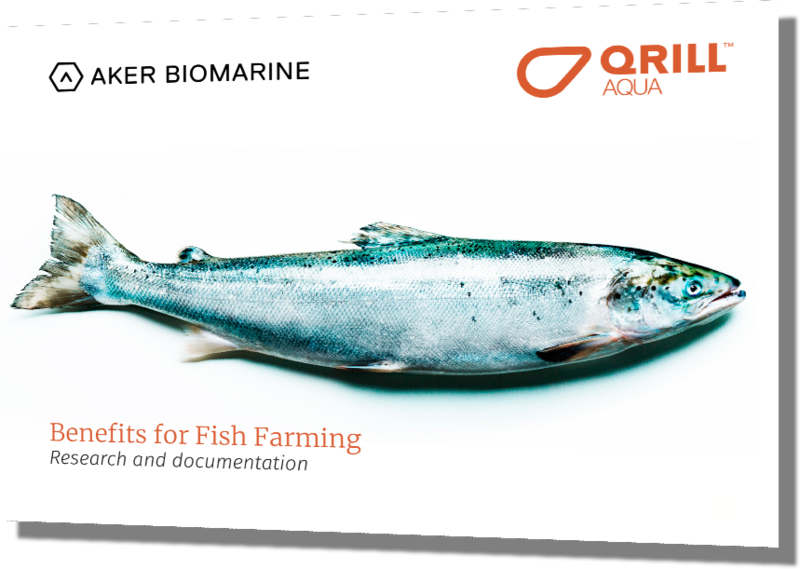 Fast forward to September 2017 and I joined Aker BioMarine as an aquaculture scientist. “The main reason I wanted to join the company is because Aker BioMarine consistently strives for excellence in research, full stop”. What attracted you to AKBM and made you want to join the company? During my first post-doctoral research project, I actually conducted a study using krill meal from Aker BioMarine. The objective was to test diets rich in krill with seabream larvae to check the performance, as well as the hepatic utilization of dietary lipids and the incidence of enterocyte injuries (liver and intestine health). Found to be beneficial as an ingredient in marine fish larvae diets, that put the company on my radar, so to speak. But the main reason I wanted to join the company is because Aker BioMarine consistently strives for excellence in research, full stop. In the Science & Regulatory Affairs team we recognize that science benefits from, not only the latest techniques, but also, the latest real-world data. Krill is one of the best sources of omega-3 fatty acids and learning more about how it impacts freshwater and marine fish health and performance is absolutely integral to our science. Having spent almost fifteen years in the academic world how have you found the transition to working for a commercial company? To be honest it has been very easy for me as Aker BioMarine, as I mentioned, is a company driven by science. I’ve always believed we must constantly look for new ways and new technologies to better understand how nutrition and metabolism can improve sustainability and productivity in aquaculture research. Aker BioMarine lives this idea 24/7 and the science team plays a fundamental advisory role in almost every facet of the business. My role includes setting up research projects and designing methodology with third-party companies and research centres and sponsoring other academic work. While I don’t spend each and every day in the lab any more, it’s still an integral part of my job. “My advice to women is don’t think about your gender at all when considering a career in aquaculture. Frankly, if you are motivated, you can do anything”. You’ve worked with a huge variety of species during your career – would you like to see the aquaculture industry diversify further? Absolutely, the industry has enormous potential. We have a way to go before we can realistically consistently produce farmed octopus for example, but it is important to at least begin to look at a wider variety of species. Different cultures and communities prefer different species; not everybody in the world is drawn to salmon in the same way as we are in Norway. Fifty percent of my colleagues have been women so, in the lab at least, gender equality hasn’t been a big issue. However, when you venture out of the lab into the corporate environment, the age-old problem of gender bias and sexual discrimination sadly still exists, and women are still woefully underrepresented in the boardroom. Things are slowly changing, and I am optimistic, so my advice to women is don’t think about your gender at all when considering a career in aquaculture. Frankly, if you are motivated, you can do anything. Show initiative, speak up, enjoy your research and take your own path. I am very fortunate to be working in a role I never could have imagined existed when I started my academic studies, so you could say I am living the dream right now. But, looking ahead, a personal ambition would be to somehow help enable and promote the growth of aquaculture in developing countries. Providing a much-needed lipid-rich food resource in the places which really need it is an important and logical next step for the aquaculture business. I would love to be a part of that. Original interview published by thefishsite.com in their Women In Aquaculture series, published 23rd July 2018.